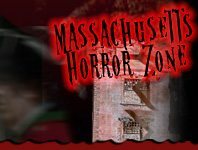 Get ready for shows and performances to remember this Halloween season in Massachusetts! Consider enjoying a Halloween themed show over dinner as a live performance happens before your eyes or enjoy other theatrical performances that play off of Halloween themes like witchcraft, ghosts & goblins and more! Haunted Dinner Theater Salem 242 days ago Rate Now! Haunted Happenings at Gallows Hill Salem Salem 200 days ago Rate Now! The Skeleton Crew Northampton 188 days ago Rate Now!